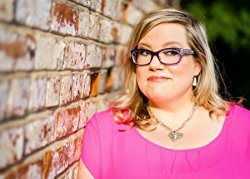 Class Reunions are Murder by Libby Klein – Blog Tour and Giveaway! This, the first book in the Poppy McAllister series, was a five star read for me. Maybe even 6. I loved Poppy’s continual inner monologue. I loved the way I could actually relate to her. I loved the way she learned to believe in herself. I loved Fig! It was refreshing to have a cat in a cozy series who was so completely self-absorbed and cat-like. A well-thought out mystery to top it all off kept me engrossed enough to finish this book in a single sitting. 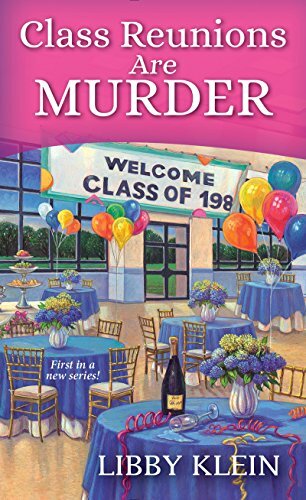 If you enjoy a clever, humorous mystery with a loveable protagonist that you just want good things to happen to, go get yourself a copy of Class Reunions Are Murder. You will not be disappointed. Also, I wanted to let you know I nominated you for The Mystery Blogger Award. (and no, it’s not for mystery writers 😉 ) I hope you’ll hop over to my blog, Pearl’s Pearls for all the info about the award. Have fun! Thanks Pearl, on both counts! 😁 I will certainly come see what it is all about. Thanks Erika. Can’t wait to read what sounds like an entertaining book.